Nokia announced it’s 808 Pureview for United States on Nokia Conversations blog. Nokia 808 Pureview will be available through Amazon for $699. Nokia unveiled Pureview at Mobile World Congress this year, it boasts 41 megapixel sensor that can take high resolution photographs. Nokia 808 Pureview launched in India and Russia recently and is now headed to US. According to Nokia this smartphone will come unlocked and runs on At&T 3G network, it will also compatible with T-Mobile but only at 2G speeds. Pre-sales for the device will start on Amazon.com later this week, those you want to be notified can add your email address here to receive the pre-sales information. Nokia 808 Pureview specs include 1.GHz ARM 11 Processor, 512MB RAM, 16GB internal memory. 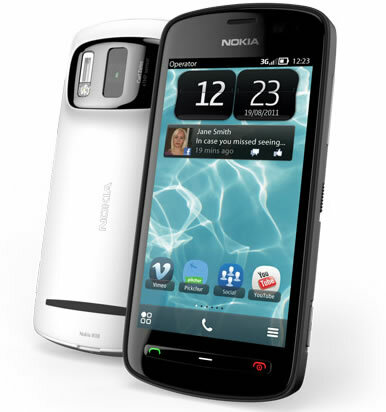 It runs on Symbian Belle OS, it has a 41 megapixel camera sensor with Carl Zeiss optics and Nokia’s pixel oversampling technology.